This photo was taken in Northern Norway, where vast numbers of reindeer can be observed during the summer time. 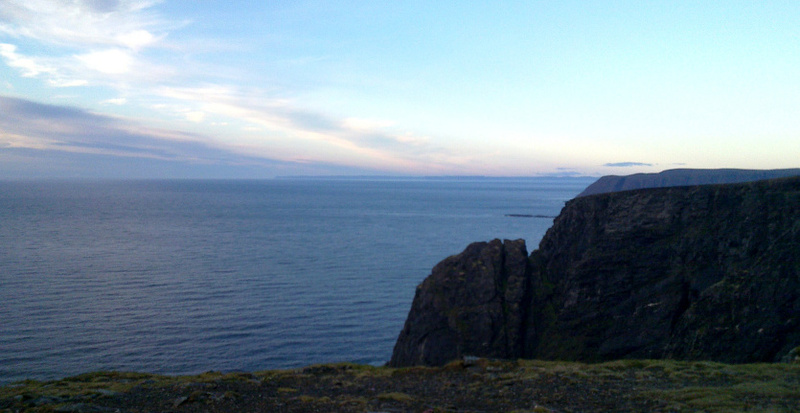 It was taken at around midnight and shows the view of the North Cape to Nordkyn. Apparently, this view is obscured by fog during most of summer, but for a few short moments, the weather was fine enough for me to see Nordkyn 67 kilometers away. This is possible despite the curvature of the earth, since both landmarks stand several hundred meters tall compared to the sea level. IT solutions, of course, must not be designed only to work under "fair weather conditions", or on the rare day when everything is perfect, or better yet, only on the developers' computers. What is generally needed is a thoroughly thought-out architecture that will withstand the stresses of everyday business. Especially since processors nowadays are not provided with ever-higher clock speeds but rather with multiple cores, the trend in computing is towards increasing the use of parallelism. This fact requires companies to demand sustainable concepts so that applications will not only run well when conditions are favorable.